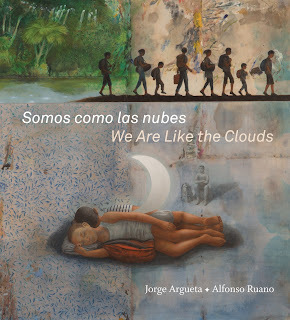 I just bought Somos Como Las Nubes this week but haven't had a chance to look at it much yet. My husband was so struck by the art that he followed me around the house showing off several pictures! It's a title I'm really excited about. I am excited to check out your other links here. Thanks for sharing! Thank you for all of the links to your lists of books - So helpful! I look forward to hearing your thoughts on those too! Both the books you mentioned here sound interesting. Intriguing covers on each of them, too. I'll have to check them out. Yes, yes to bilingual poetry! I am going to have to get my hands on that book. Thank you for sharing! Can't wait to hear what you think, Ricki. Funnily enough I'm currently in Japan, and there are often stories in the news about bullying in schools, it does sound like a big problem. Recently cases were coming to light about displaced children from the areas hit by the 2011 tsunami being blackmailed by fellow students threatening to reveal their situations. I'd be curious to hear a Japanese response to the story, too. I think I need to do some deeper Google searching. I'm sure book reviewers in Japan are aware of the story. I heard about Dragon's Mouth last week, and I put it directly on my TBR. It sounds fascinating! I found Somos como las nubes / We are Like the Clouds to be very powerful. I think the illustrations add a lot. Somos como las nubes has been added to my list. Poetry and powerful art make for an unbeatable combination! 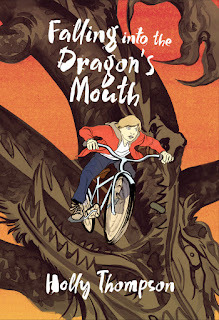 Falling into the dragons mouth reminded me of A Tale for the Time Being, by Ruth Ozeki, an adult title I finished recently. It deals with a Japanese girl who has spent time in America and is badly bullied when she returns home to Japan. Interesting ... thanks for sharing, Cheriee.